This sleek seat is great for those who love long and short bike rides. Made-up of good quality gel foam material. It keeps you at ease and comfort during cycling. Due to its chunky padding and spring suspension, this seat is one of the most comfortable and soft bike seats. The Seat is water-resistant and easy to use. Easy to fit and hitch on. Sporty design for sport freaks since it helps you feel awesome on your bike. 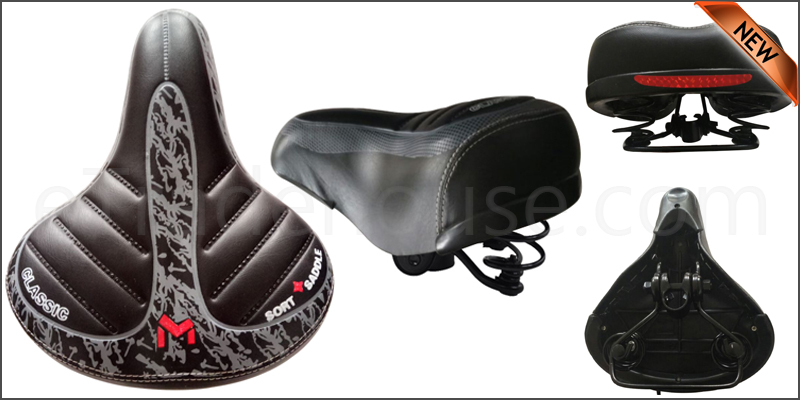 Universal design Suitable to any kind of bike including BMX, MTB, and mountain bikes etc. 1x Wide Extra Comfy Bicycle Seat .